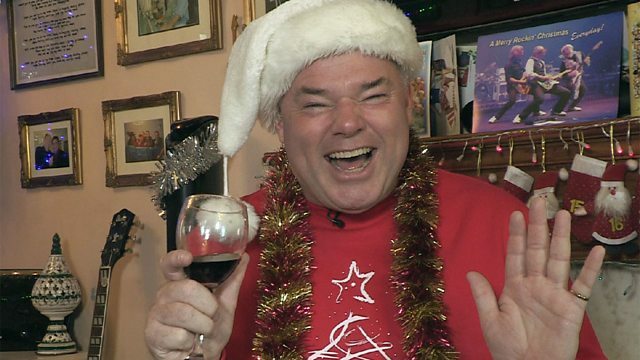 We meet a British man who really loves Christmas… so much that he celebrates it every day! This unit looks at the differences between must and have to. Mr Christmas said he never gets sick and tired of his celebrations. Sick and tired is a phrase which means 'annoyed and bored'. Phrases like this with two nouns joined by and are very common - and useful - in English. They're called binomials. You can see more examples of binomials in the Session Vocabulary box on the right. Which binomial could we use to describe this picture? And me Alice. And today’s show is all about binomials. Or as some call them, binomials. Yes, those short and sweet phrases English speakers love to use in everyday English. We’ll look at what binomials are, what they mean and how to use them. And we’ll leave you with a quick and dirty tip for learning vocabulary. So: to start off, let’s listen to Charlie and his mum talking about football practice. Here’s a question to think about while you listen: what’s a good treatment for aches and pains? What’s good for aches and pains? Let’s find out. Hello, love. How was practice today? I’m sick and tired of being in goal. Look at these bruises – I’m black and blue. Let’s have a look…oh yes love, why don't you jump in the bath? Warm water’s very good for aches and pains. So, that’s Charlie and his mum. And we asked you: what’s good for aches and pains? And Charlie’s mum says the answer is: a warm bath. That’s right. And the phrase aches and pains is our first binomial. Now binomials are short English phrases made of two words that go together – and the two words are often joined with and. Like aches and pains. Which means: general pains in the body, that usually aren’t serious. Ok: now it’s important to remember that binomials are always fixed: you can’t change anything about them. You can’t say pains and aches. You can’t say aches and hurts and you can’t say hurts and pains. So, Alice: Do you suffer from aches and pains? Sometimes Finn, when you're around. Anyway, poor Charlie said he was black and blue. He’s talking about the bruises on his body he got from playing football. Black and blue? Must have been a tough game…? Yes, no wonder Charlie said he’s sick and tired of football. Sick and tired. It means really fed up and bored with something. And remember, we can’t say tired and sick. We can’t say sick and bored either. What are you sick and tired of at the moment Finn? I'm sick and tired of commuting: travelling to work. It took me about an hour this morning. And another binomial: bit by bit - this time, the word in the middle is by instead of and. And we’re talking about binomials. And if you were listening carefully at the beginning of the show you might have noticed that we used a couple of binomials right at the start. Short and sweet was one of them – it means simple, quick and useful. Short and sweet or: quick and dirty. That’s another binomial with a similar meaning: quick and dirty means simple, short and basic. And another similar one is: cheap and cheerful. So, three binomials there you can use to describe something as quick, simple and basic. Now let’s hear today’s expressions again. It describes body pains that aren’t serious. Fed up, bored and angry. Short and sweet; quick and dirty; cheap and cheerful. Thank you Alice: And now it’s quiz time. Number 1. Choose the correct answer: I’m learning French. It’s difficult, but I’m getting better a) bit by bit b) bit by little c) bit and bit. And the answer is: a) bit by bit. Number 2. Sarah fell over and hit her eye yesterday. Today it’s a) blue and black b) black and blue c) black and white. And the answer is: b) black and blue. Ouch. And finally, number 3. At only one minute long, the presentation was a) sweet and short b) cheerful and cheap or c) quick and dirty. And the answer is: c) quick and dirty. But before we go, here’s a cheap and cheerful tip for remembering vocabulary: play games. Making and playing a simple card game where you match up the beginning and ends of binomials will really help you to remember them. That's right. And there’s more about this at BBC Learning English dot com. Join us again for more 6 Minute Vocabulary. You can download 6 Minute Vocabulary from our Unit 5 Downloads page (size 8.39MB). Remember, you can also subscribe to the podcast version. 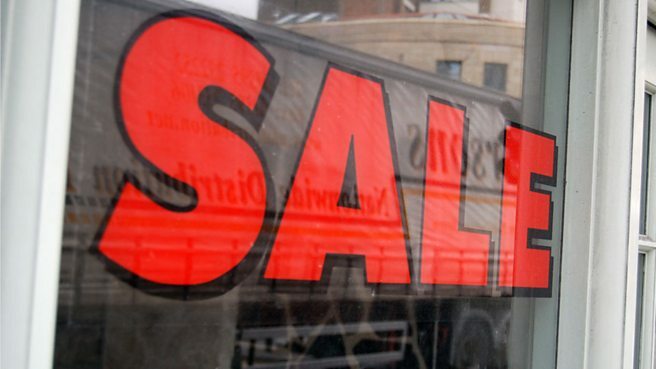 So, what is the best binomial to describe the picture of the 'SALE' sign? It is cheap and cheerful. Well done - that's the end of the first session in this unit. We hope you’ve enjoyed meeting Mr Christmas. We heard lots of sentences with must and have to. In Session 2, we're going to learn how to use them.